When I went to Ireland last summer, all I wanted to do was fly Kya over and stay there forever. I absolutely fell in love with the food, the people, the Guinness and Bulmers, and the fact that everything is SO GREEN. 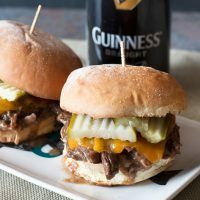 Since that dream isn’t likely to come true anytime soon, I’ll have to feed my fantasy through these Guinness braised short rib sliders. With St. Patrick’s Day right around the corner, I am handing the key recipe that will guarantee the success of your celebration. And no, that is not an overstatement in any way. 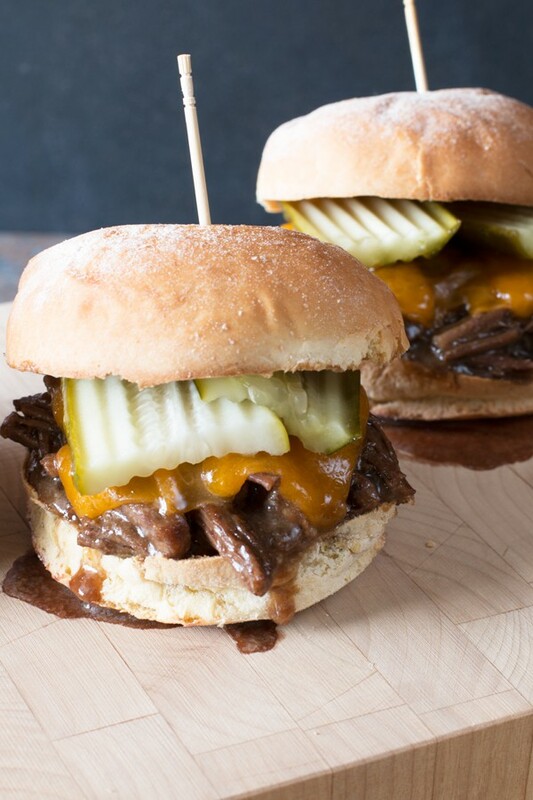 These sliders will make people worship you. I mean, some might downright cry after their first bite. Though braising takes a little time and patience, the steps to make this melt-in-your-mouth meat are minimal. You won’t have to worry about anything but kicking back with a cold Guinness while you let the ribs absorb the rich stout flavor. Note: If you have a pressure cooker, simply sear off the meat and throw all the ingredients for the short ribs into the pot. Cook for approximately 40 minutes until tender. is the one thing I couldn’t survive without. It has EVERYTHING from being a pressure cooker to make this meat cook quickly, to a slow cooker for all day cooking while you are at work. It also has a rice cooking function and so much more! is the one knife to get those cuts RIGHT. 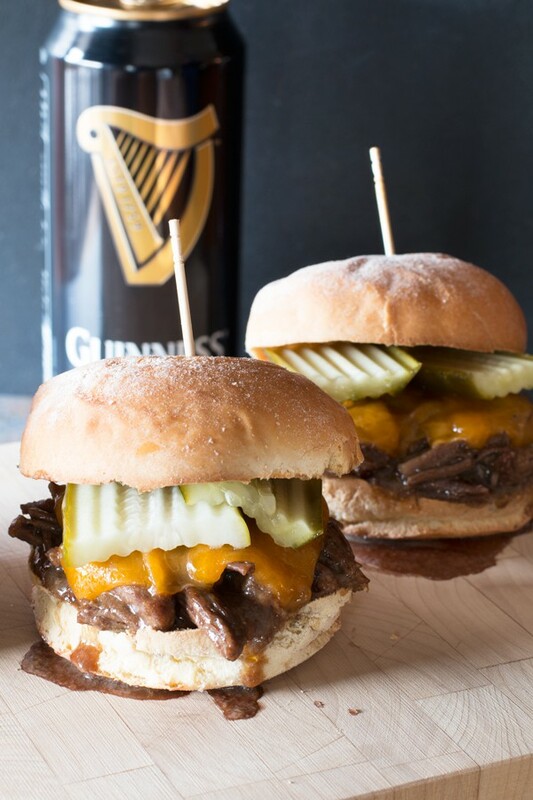 Pin this Guinness Braised Short Rib Sliders recipe for later! 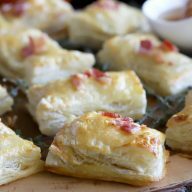 The ultimate appetizer or snack for any Guinness lover! In a large dutch oven, heat olive oil over medium-high heat. Sear the short ribs on all sides, including the ends, until browned, approximately 2 minutes per side. Remove the meat to a clean plate and set aside. Add the onion and garlic to the dutch oven and cook until the onions are translucent, approximately 3-4 minutes. Stir in the meat, spices, Guinness, and beef stock. Bring the mixture to a boil, then reduce to a simmer. Cook uncovered on the stove for 20 minutes. Cover the dutch oven and cook in the oven for 2 hours, until the short ribs are fork tender and falling off the bone. Remove the meat to a plate to cool. Place the dutch oven with the cooking liquid on the stove over high heat. Reduce the liquid by half. 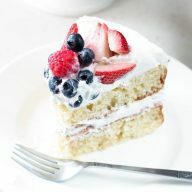 Rapidly whisk in cornstarch to ensure no clumps form. Continue reducing the sauce until it is thick. Using your hands or two forks, shred the short rib meat. Add the meat to the thickened sauce. Stir to combine. To assemble the sliders, place the bottom half of every toasted potato roll on a clean baking sheet. Add approximately 2-3 Tbsp of short rib meat coated in the sauce to the bottom half of every bun. Top each slider with cheddar cheese. Melt the cheese under a broiler set to high (watch them closely!) for approximately 30 seconds. Add pickles and the top half of every bun. 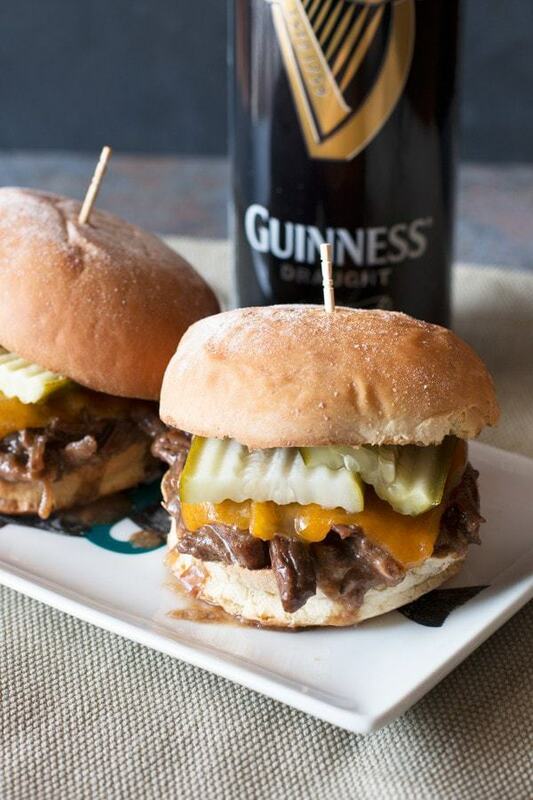 Serve immediately (with more Guinness!). I went to Ireland last summer too! I’m in love with that country and these sliders! 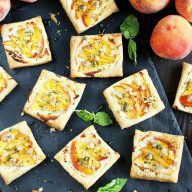 Must make! I’m not one to drink Guinness.. but I sure do love when it’s used in cooking. These sliders looks seriously SO good.